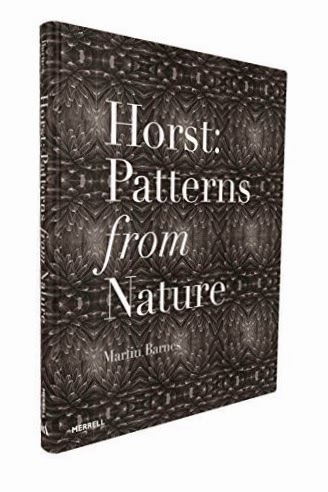 A quick update to an earlier post and a piece I wrote for flower: V & A curator Martin Barnes has edited a new 104-page book, Horst: Patterns from Nature, to complement the museum's main Horst exhibition catalogue. In part a reissue of the volume of textile-like images that Horst himself compiled in the 1940s, this 21st-century book includes 28 additional lesser known photo-collages. And these kaleidoscopic collages are also available as notecards. Thanks for this interesting link, Courtney.